I realize that the war for Northern Ireland is over and that the IRA made peace with the Royals. But on St. Patrick's Day (or celebrating King Billy crossing the Boygne), it's always time for war tunes. It's St. Patrick's Day, when green beer flows, and I'm blogging about milk. But I like milk. I started liking milk the day that I was born. I still like it. I just do. I come from European stock, which means that my ancestors drank milk and ate cheese. I am not lactose intolerant. Good things come from milk. gelato and ice cream head the list. I don't drink milk that often as an adult because it elevates my blood sugar and throws pounds on, but it doesn't mean that I don't enjoy the occasional tall, cold glass of moo-juice with my breakfast. 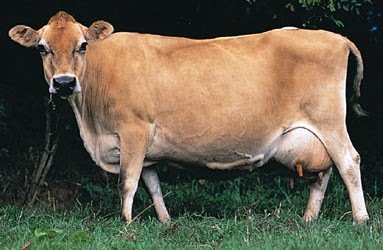 When I was a young boy, my grandparents had a Jersey milk cow. I had to milk Bessie the cow every morning, early and again at night. Bessie (are all female cows named "Bessie"?) needed to be milked twice daily, and in the cold of winter, a nasty tail in the face was most unpleasant. That was offset by the 8 inches of cream on top of the one gallon glass jar full of milk. At the time, I really didn't understand that the "city people" had to drink homogenized blue john. To me, milk included a full dose of cream. Sometimes we'd skim the cream when we needed butter. Home churned, salt added, fresh butter. Cheese was a bit more complicated and we never did make a brick that would rival the creamery in town that made cheese to rival what I later ate in Holland, Denmark and Germany. We only had one cow. I pitied the other boys who grew up on dairy farms (thought they did have automatic milking machines) because their days started at about 4 am and then they caught the bus into school. There were a number of dairy farms in the area. My children don't drink milk because their mother raised them not to like it because she didn't like milk. I always felt that they were missing out. There was a goat ranch near where I lived. Yes, I milked goats too (as a guest milker), drank goat milk, ate goat cheese, etc. I understand that it's better for you, but NOTHING tasted so good as the milk that Jersey cow produced. Some people say that consuming unpasteurized milk can be deadly. 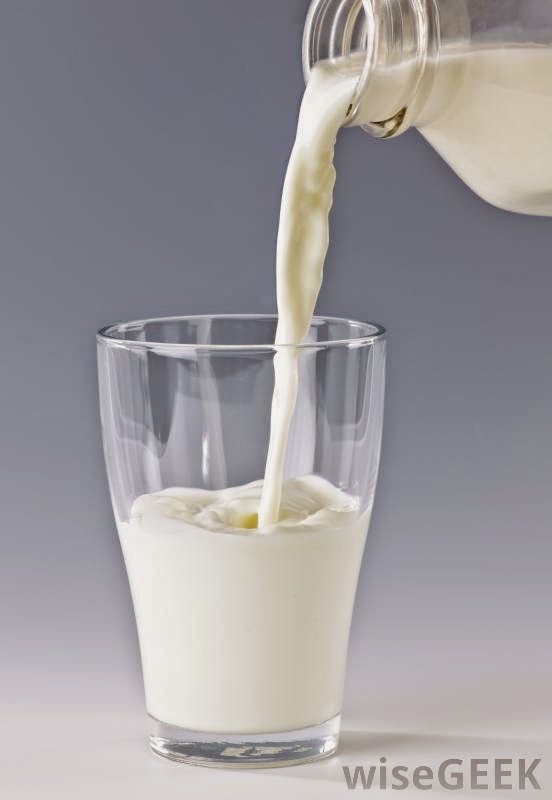 In the US nobody has died from drinking unpasteurized milk in the past 40 years. So all you haters out there can stow the argument. According to the CDC, during the period from 1990 − 2006, there were 24,000 foodborne illnesses reported each year on average. Of those, 315 per year are from dairy products. This means dairy products account for about 1.3% of foodborne illnesses each year. That’s not exactly an alarming number, considering that more than 75% of the population consumes dairy products regularly. I live in a city now, far from those wonder years, but I still have a taste for milk.